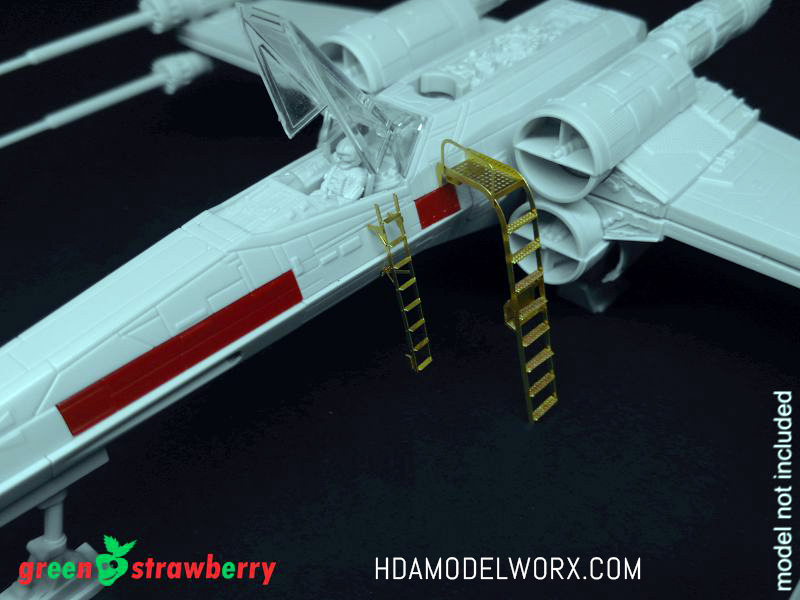 Set contains photoetched Hangar Equipment (Vol. 1) for Star Wars 72 Scale Kits. 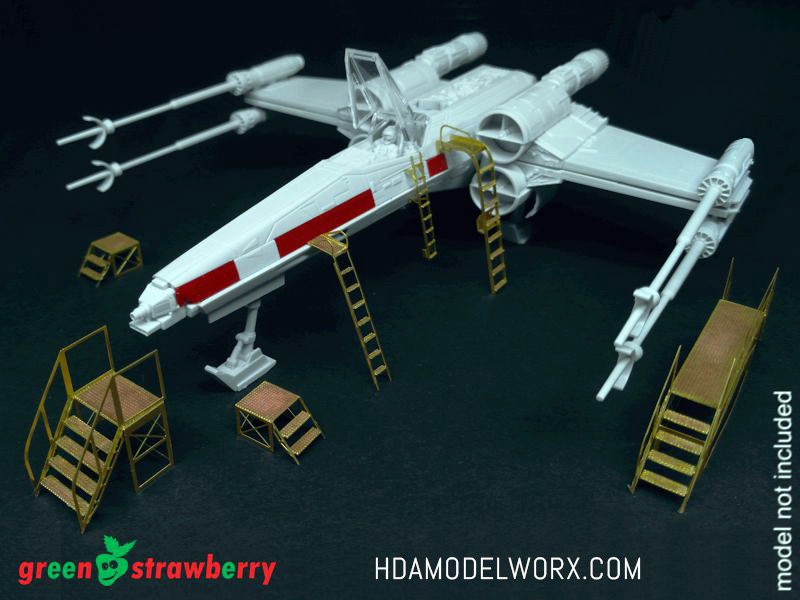 Perfect for all the 72 Scale Bandai Star Wars Kits! 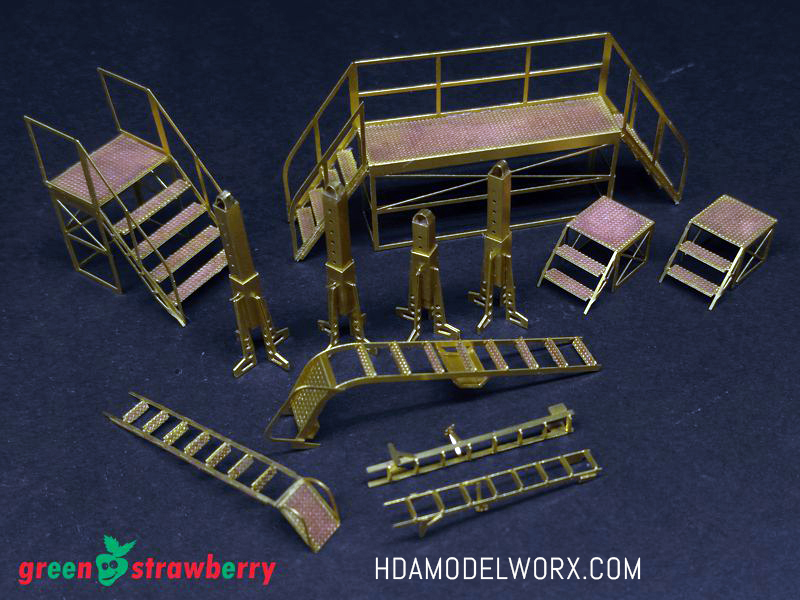 Photo etch ladders, support ladder platforms and ship maintenance supports that provide great detail for any 72 scale kits in a diorama setting. 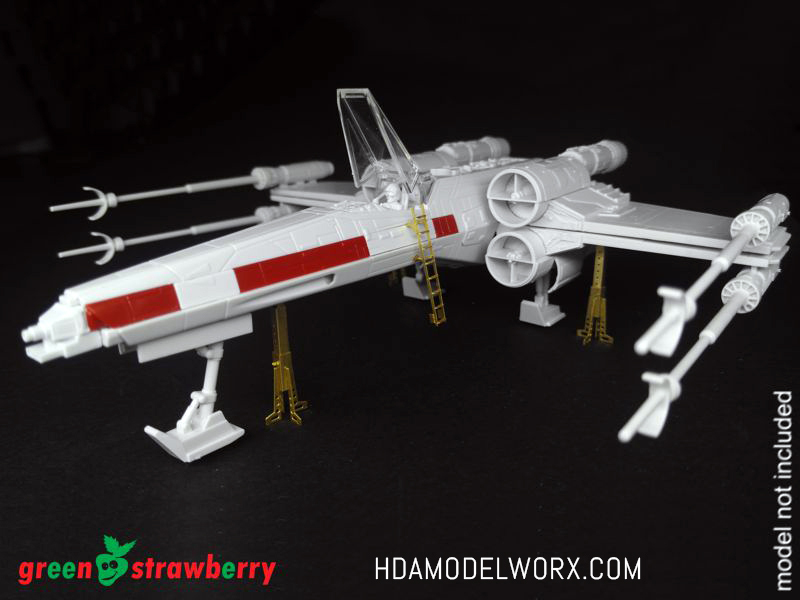 These work great with the Green Strawberry Diorama Kits which you can find HERE!